Over the past two decades, life cycle thinking has provided a conceptual basis for moving the agenda forward. Life cycle approaches and tools have been developed, refined, are now more commonplace in the private and public sector, and are already stimulating and supporting the transition to a green economy. There are many approaches, programmes and activities in the life cycle thinking basket that are essential in a green economy. These have been developed to assist in decision-making at all levels regarding product development, production, procurement, and final disposal. They can be used in all sectors, and offer the possibility to examine a range of key impact categories and indicators, assessing the environmental and social impacts (e.g. Environmental LCA and Social LCA, carbon footprint, water footprint, etc. ), as well as the ultimate effects of these on all three key sustainability pillars (e.g. 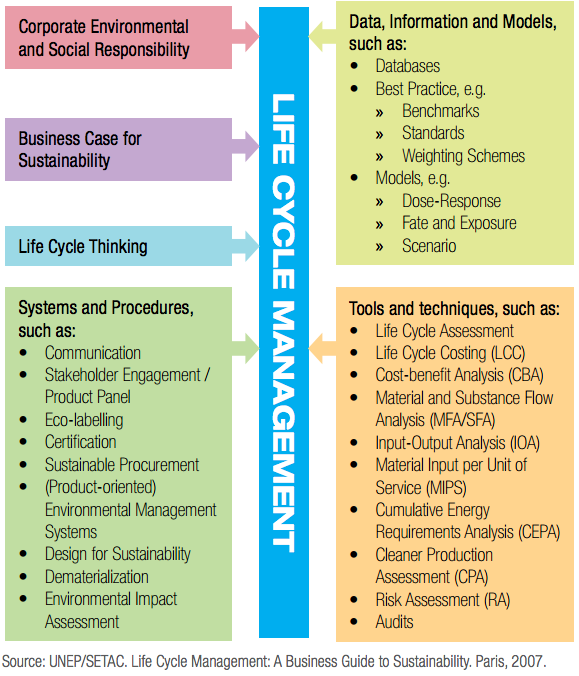 life cycle sustainability assessment). Life cycle thinking is made operational through Life Cycle Management (LCM). LCM is a management approach that puts the tools and methodologies in the life cycle thinking basket into practice. It is a product management system that helps enterprises to minimize the environmental and social burdens associated with their product or product portfolio during its entire life cycle. The integration of LCM into enterprise operations is similar to that of the ISO 9000 and 14000 standards in that it favours a cyclical plan-do-check-act approach, and thereby provides a basis for continual improvement. Read on the benefits and find insights and inspiration from examples as to how life cycle thinking, management, and approaches are being developed and implemented in practice around the world. 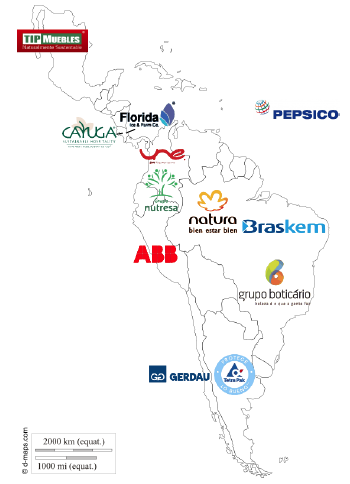 This report provides short summaries on the implementation of life cycle approaches in 12 companies in the Latin America. This report provides an overview of the state of life cycle approaches and describes the work the Initiative has done to advance the topic. A good background on Life Cycle Thinking, in general.